We’re off to a good start, for me at least, for 2016. 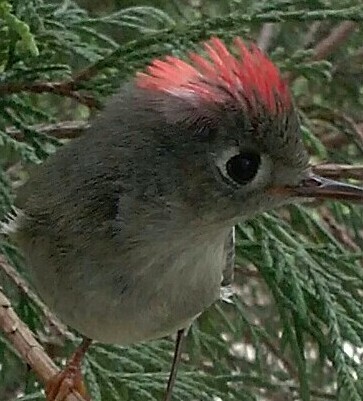 I suppose the best bird watchers in our club (Herndon Chapter TOS) are long past 75 species in 18 days I’m doing pretty good, for me with 51 species. Mary Anna Wheat and I last January tried for 50 by the end of January and we both just about did that. The weather hasn’t been all that cooperative. Colder weather up north sends us a good variety of ducks but this winter has been surprisingly warm. As of today, winter has arrived in earnest so we’ll see. Also, one or two ponds that might have some activity are frozen over which diminishes our chances even more. It is a hard compromise. Of mine so far, the most interesting has been the 1,500 or gulls at Middlebrook Lake in Bristol, Tenn. For our part of the world, that’s a lot of gulls! At Middlebrook last week, we spied an immature Bald Eagle which was a first for us. 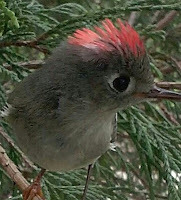 That same day at Osceola Island, downstream from South Holston Dam, was two other new birds for the year: ruby-crowned kinglet and golden-crowned kinglet. Both responded to a Carolina wren call! Check the link on this site to the Herndon Club page for what we’re up to next. Meetings have started. We have summer trip to Colorado in the works. I presume we’ll go to Charleston area in the fall. Whip-poor-will counts will come up. Spring count is in early May.